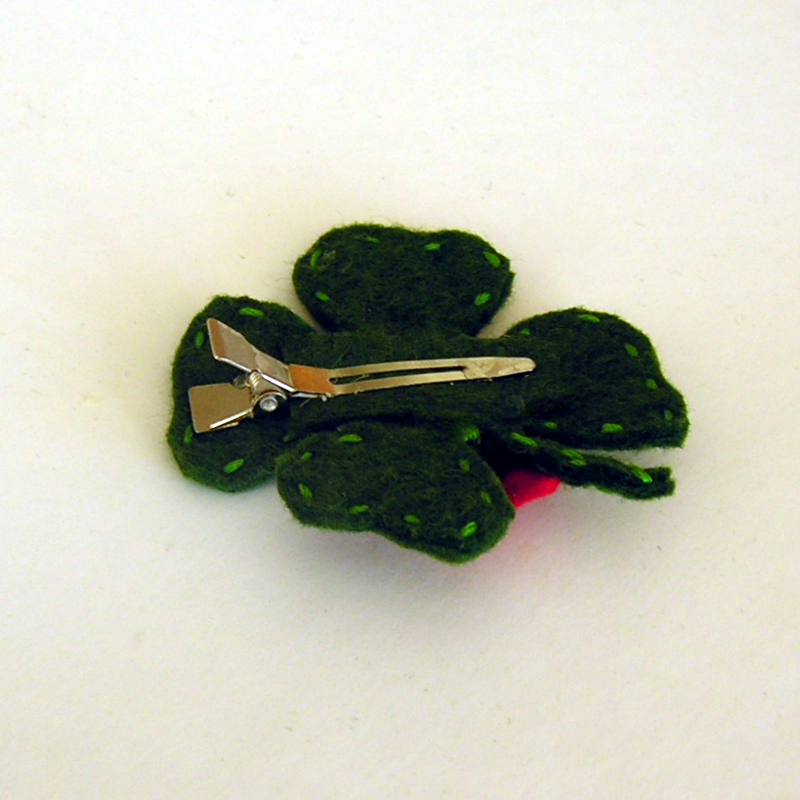 These simple felt four leaf clover will allow you to add a touch of green to anything. 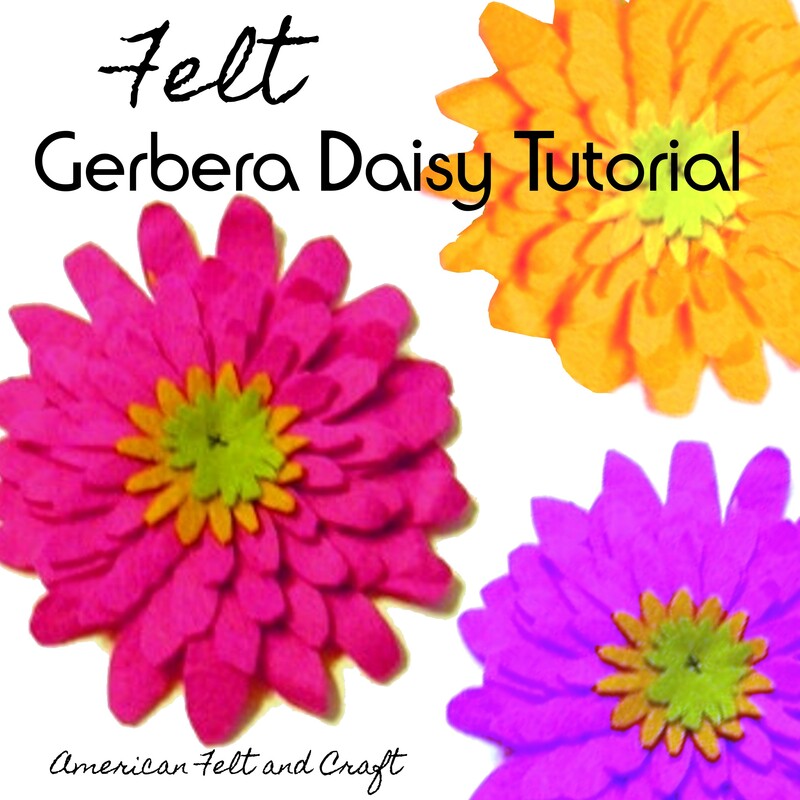 Best of all these DIY felt shamrocks stitch together in minutes! Set one of the shamrock shapes aside. Fold one of the clover leaves together, sew a few stitches to hold the fold. Repeat with all leaves. Place the shamrock pieces together and over cast stitch around the sides to hold. 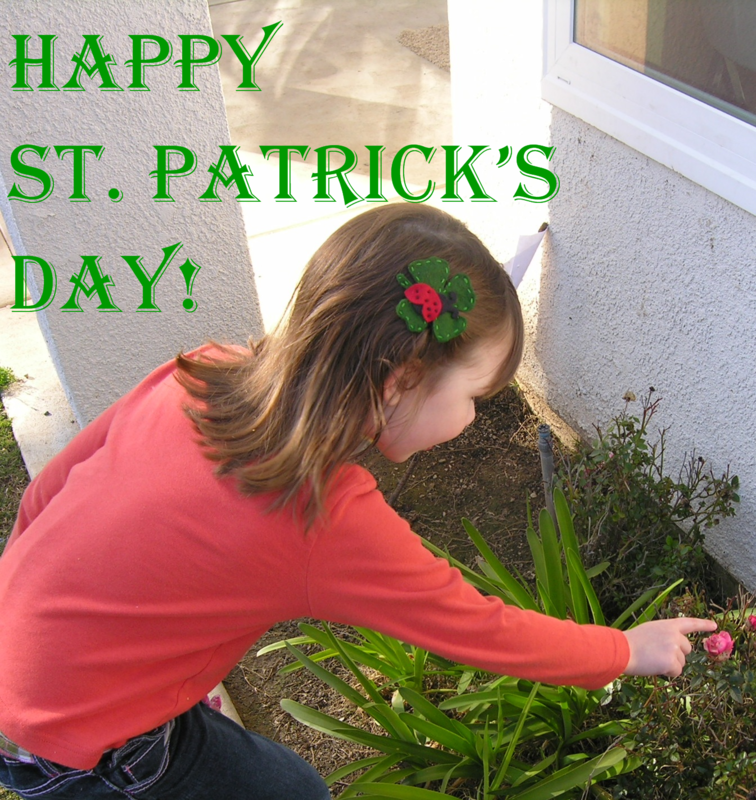 Irish folklore includes a rich history of the trouble making Leprechaun. Legends tell of these hardworking mischief makers storing their treasure- golden coins- in pots hidden at the end of a rainbow. 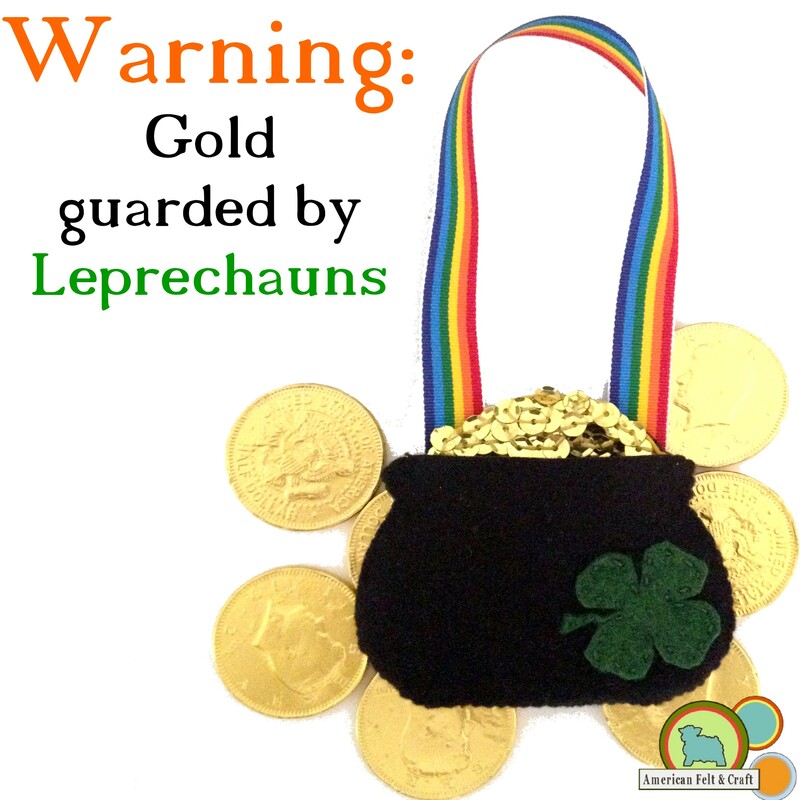 This magical secret hiding place insures his pot of gold will never found – unless of course – you are very lucky! 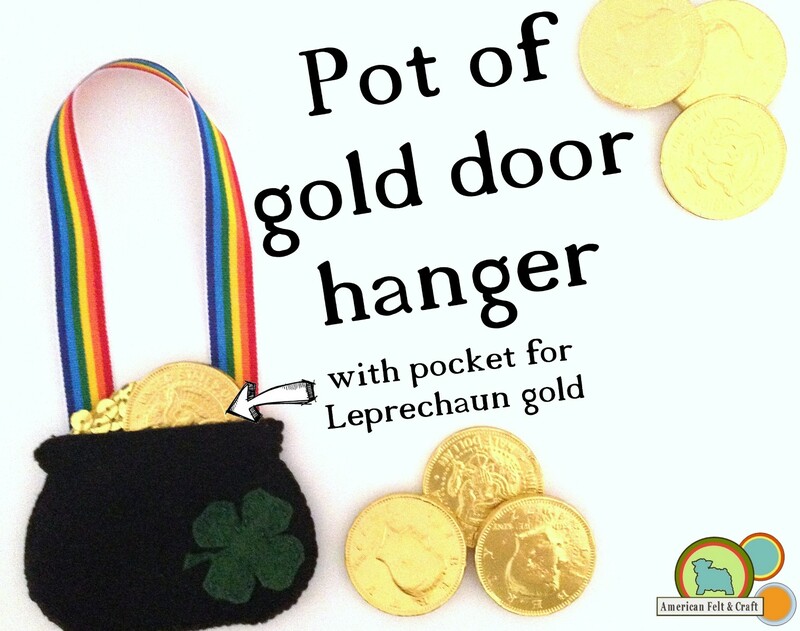 Our felt pot of gold door hangers include a pocket to hold chocolate gold coins or other small treasures and a four leaf clover for luck! 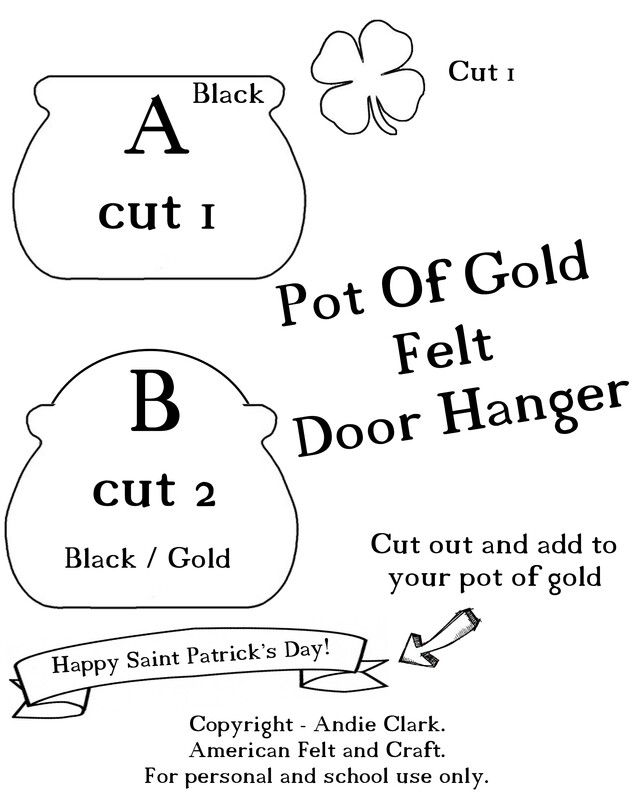 These easy felt door hangers make a great Saint Patrick’s Day craft and and an even better Saint Patrick’s day surprise for the mischief making treasures in your life. 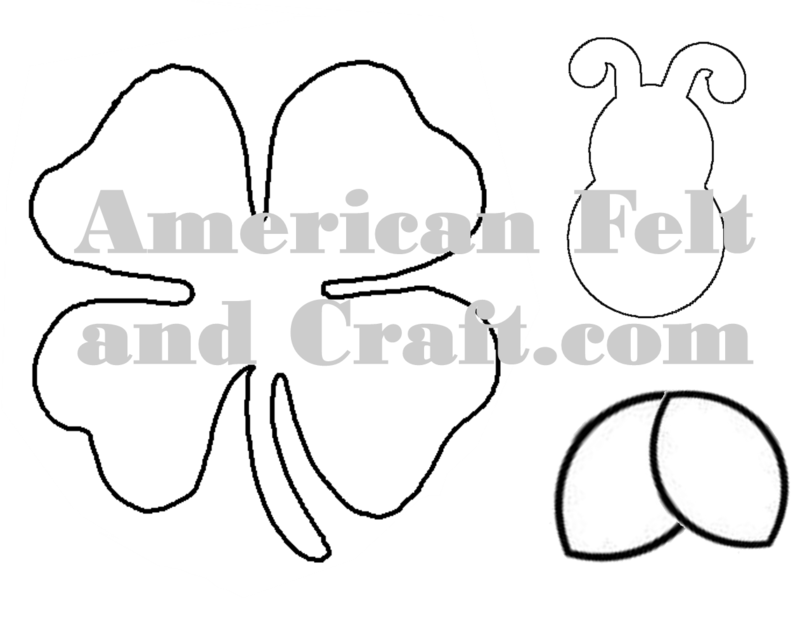 1 template B from black felt and 1 from gold felt, 1 template A from black felt and 1 shamrock from green felt. 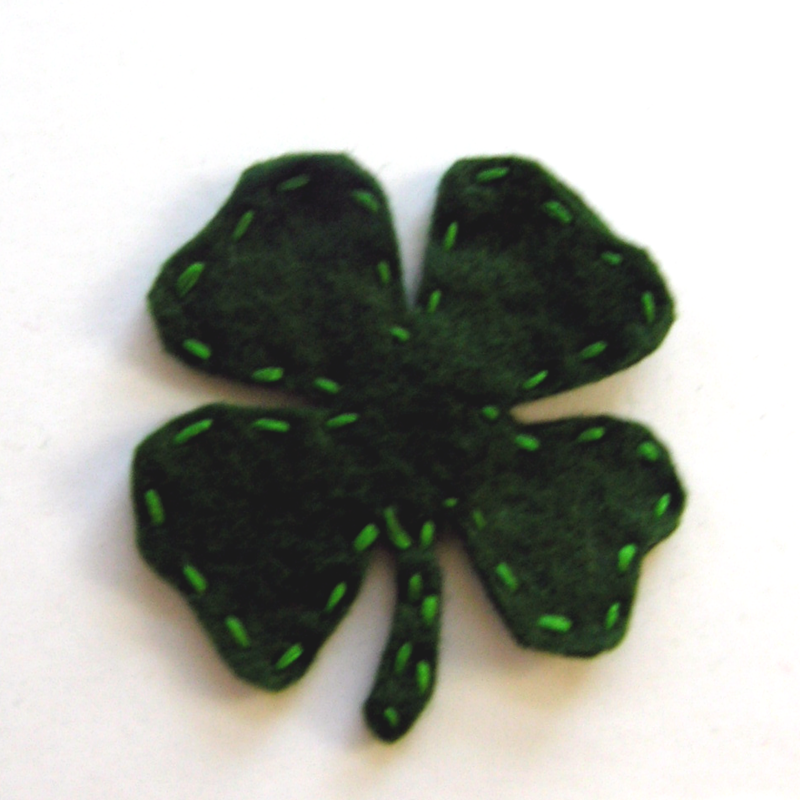 Sew felt shamrock onto template A and set aside. 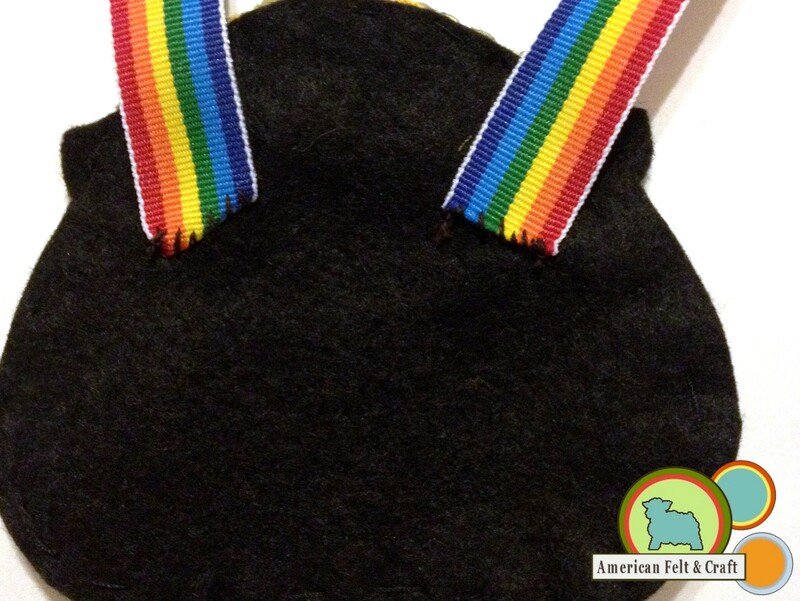 Attach ribbon to the black B felt piece in a loop. Set aside. 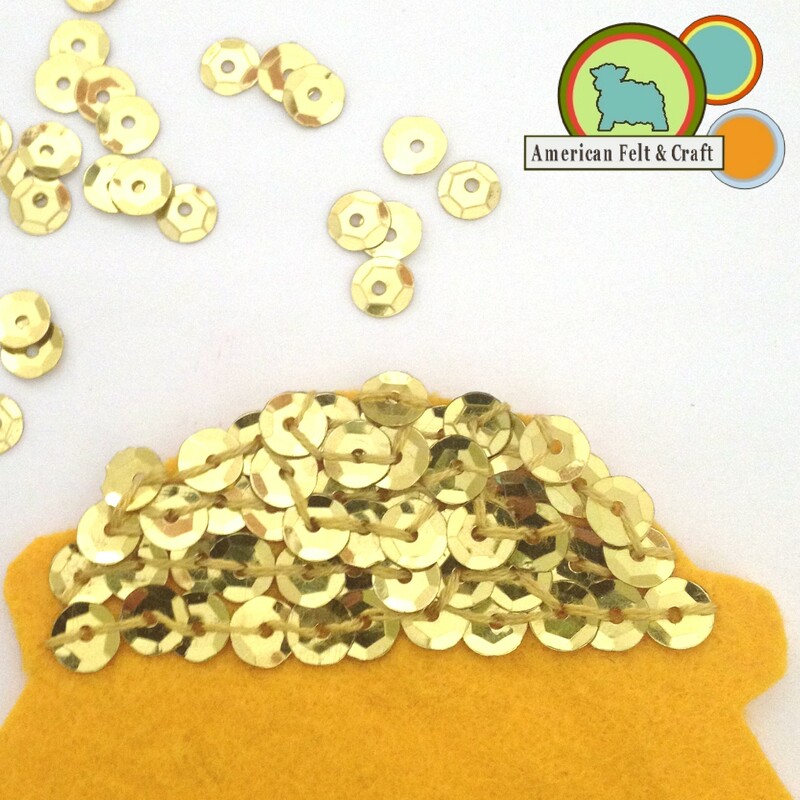 Attach sequins to the top of the gold felt B template. 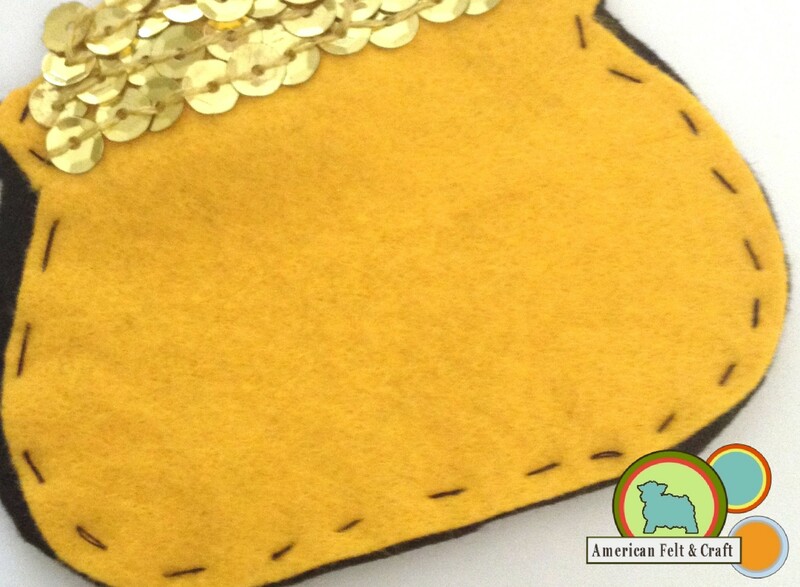 See our blog post on attaching sequins. 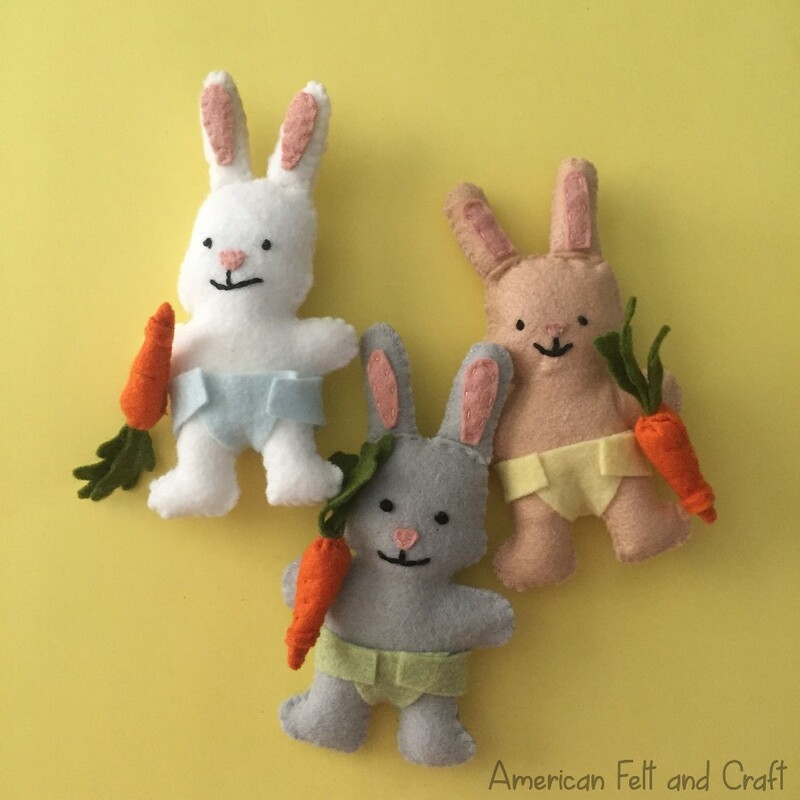 Attach both B pieces together with a running stitch. I used an overcast stitch around the top of the piece moving my needle around the sequins and a running stitch around the ribbon. Add A piece to front and overcast stitch around the outside leaving the top open to make a pocket. Pin us we double dog dare you! Without a doubt St. Patrick’s Day is heavily celebrated in this house, I’d love to tell you it’s because my kids appreciate their Irish heritage, or because my youngest was born on St. Patty’s day but that would be a lie. Around here the 17th is revered for one reason – pinching! My oldest son has made a tradition out of pinching the first person he sees not wearing green since…well since he had a brother he needed an excuse to pinch! To be fair he will tell you it isn’t he that does the pinching it’s the leprechauns. You see wearing green no matter how tiny the amount makes you invisible to the leprechaun’s and it’s a well-known fact leprechauns, like my eldest, love to pinch. 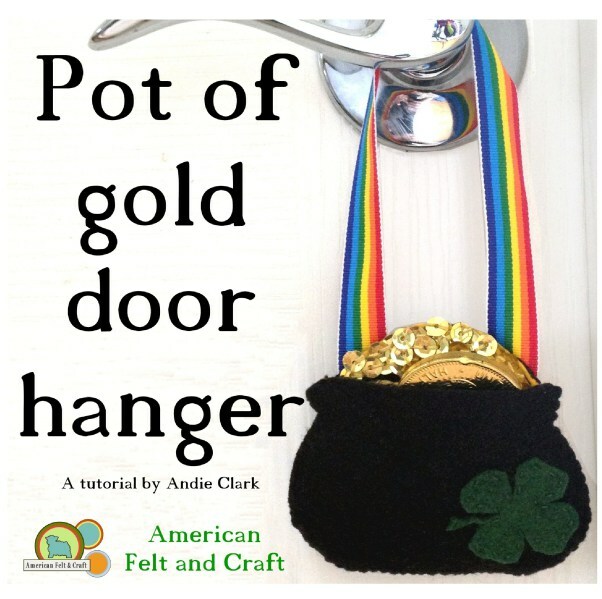 This a great project for using up those small scraps of felt and when glued or sewn to a barrette or pin it’s sure to keep those pesky leprechauns at bay. 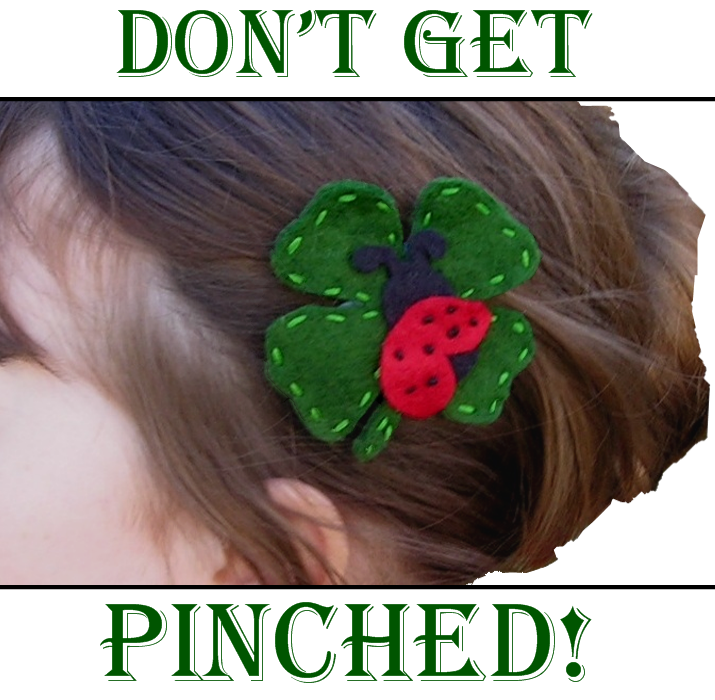 And if you have a little man who needs some leprechaun insurance feel free to leave off the lady bug and attach it to a pin backing. 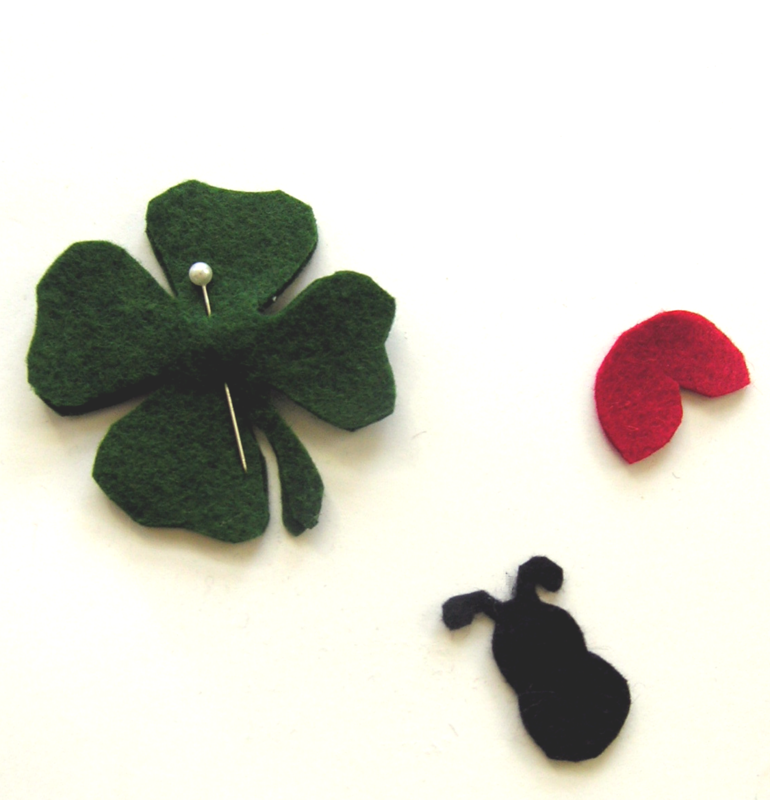 Cut out your felt pieces you will need 2 shamrock pieces and one of each of the other pieces. 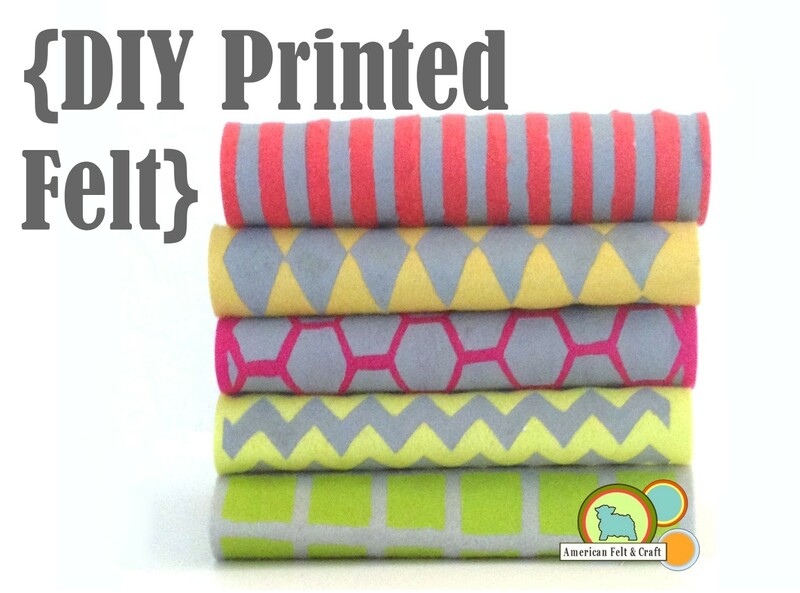 For tips on cutting smaller shapes see our blog post. Place wings on top of your ladybug body. I liked the way mine looked when it was off-center but I won’t judge you if you decide to go the standard route. 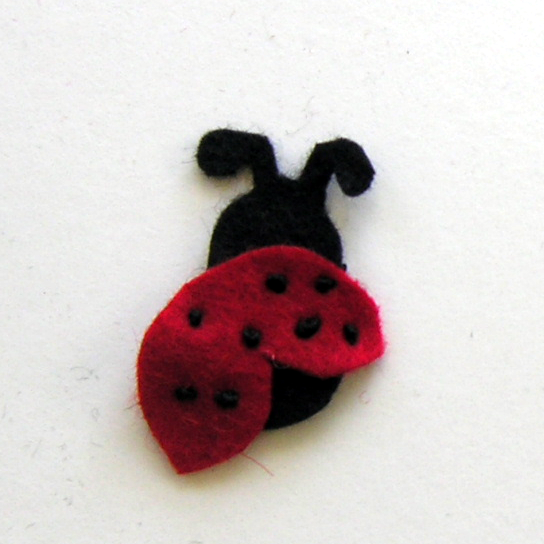 Thread your needle with the black embroidery floss and create french knots where you would like the lady bugs spots to be, this will be enough to hold the wings to the body you will need to add a spot or two after the fact to attach ladybug to the shamrock so leave a little room or don’t and use glue instead, we’re pretty flexible around here. 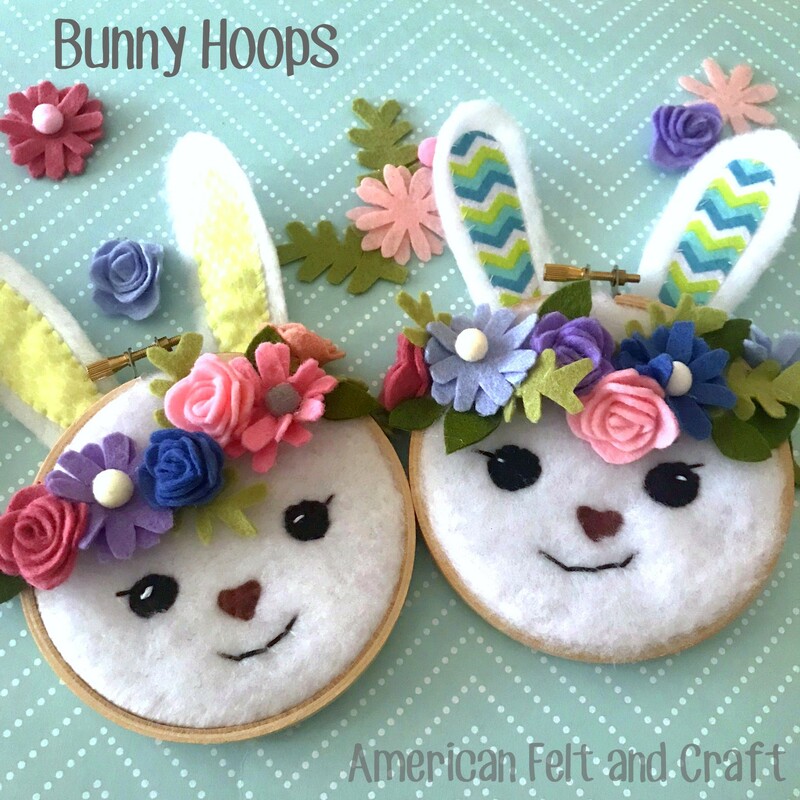 Need some help with french knots…fear knot, ok forget that I made that horrible joke and just read our tips here. 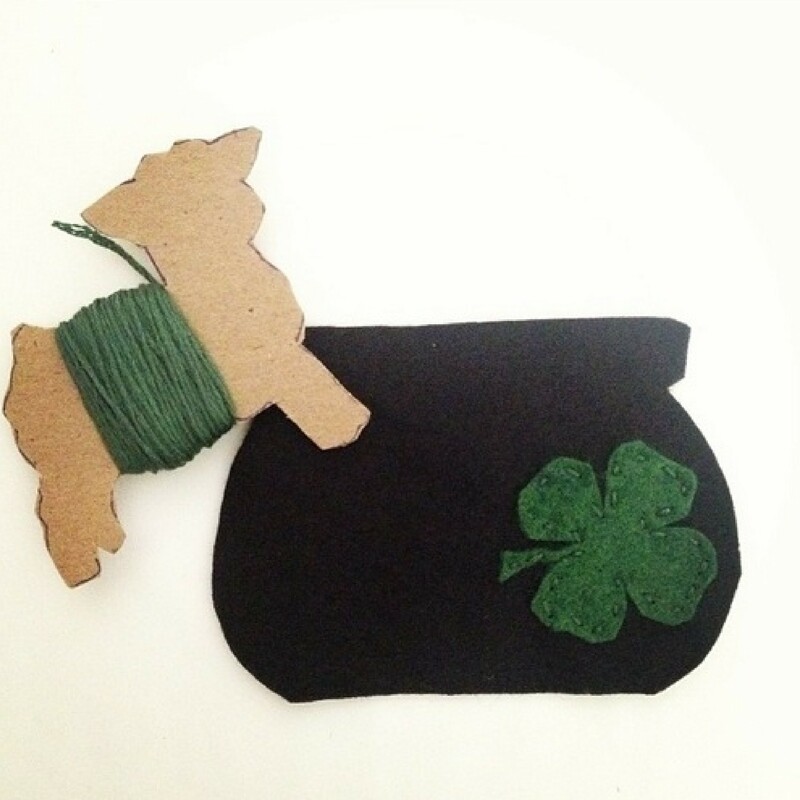 Place your shamrock pieces together and using embroidery thread create a running stitch around the perimeter. TIP: using coordinating but not matching green floss creates more visual interest without being too distracting but again feel free to go all matchy matchy if you like. 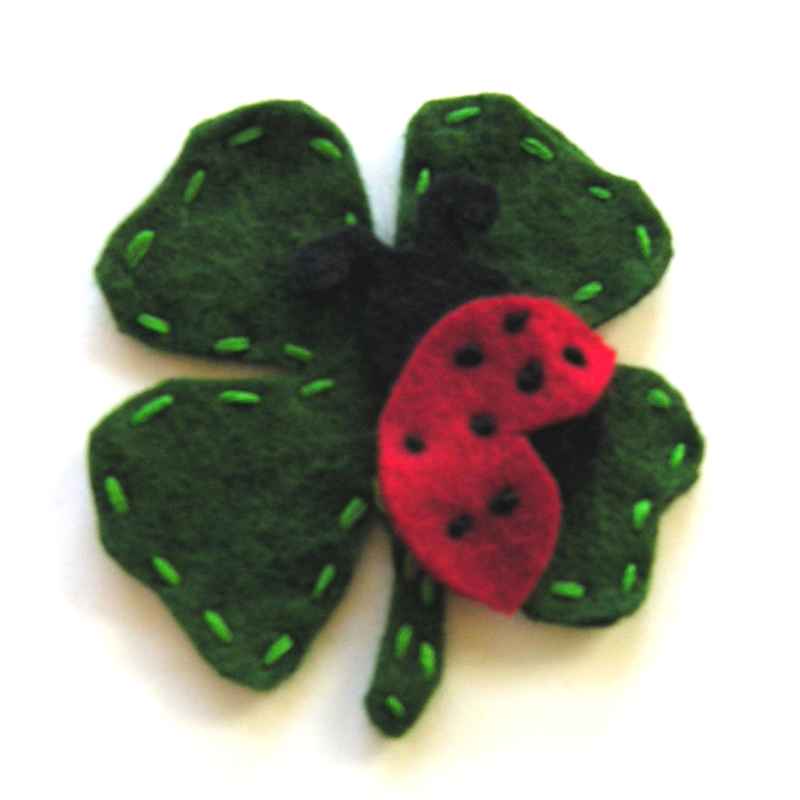 Place lady bug where you want her on the shamrock and attach by creating a few more french knots, you can also use a felt glue to hold it in place. 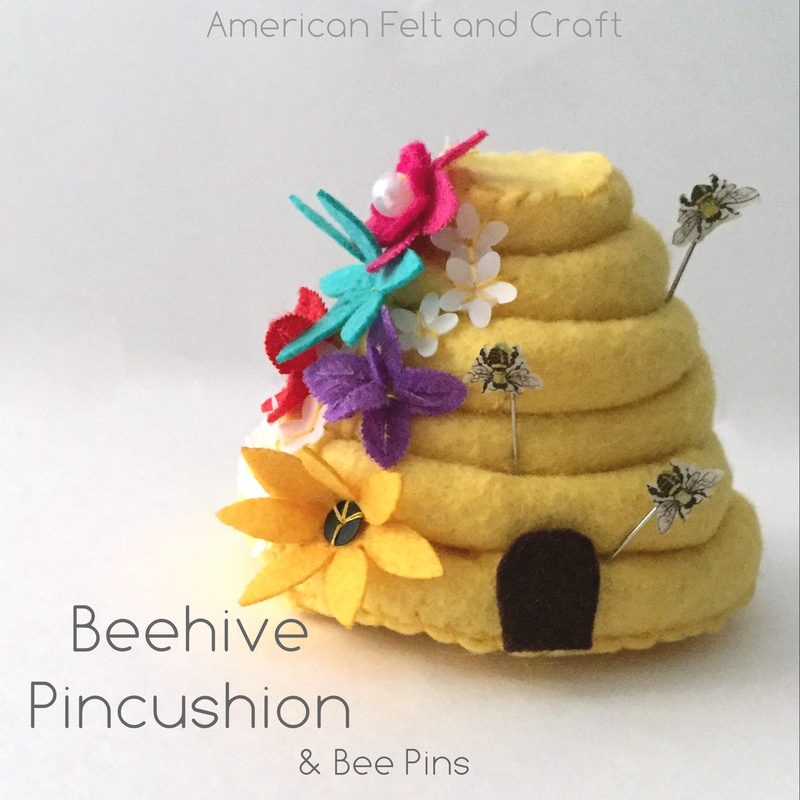 Attach your finished piece to the clip (or whatever you have chosen) with hot glue which works better with metal than the felt glue. Please note you NEVER want to use hot glue on a visible part of a felt project and use extreme caution if you go the acrylic felt route as it is plastic and WILL melt. When creating a hair clip I like to cut a small rectangle of matching felt and place it over top the side of the clip I have just glued down, both for the neat appearance and for added stability. Now go find someone not wearing green and pinch away knowing you’re untouchable! 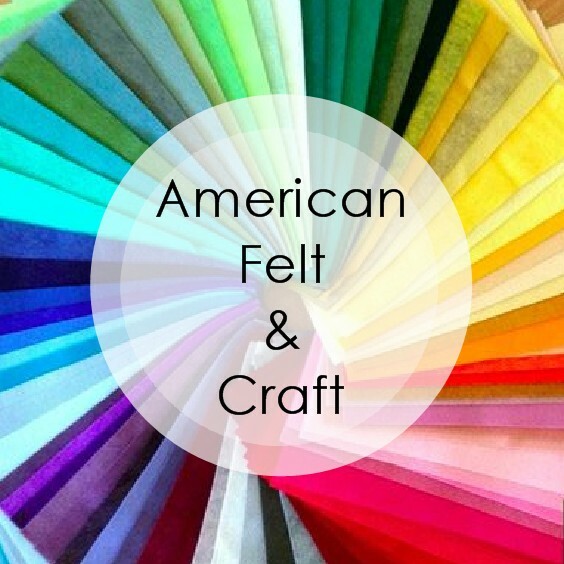 Copyright American Felt and Craft all rights reserved. For personal use only.